Cancer is something that has touched us all in some way shape or form in our lifetime. It attacks us with a relentless drive in any number of ways and locations. From small lesions and moles on the skin to aggressive assaults on our primary functions and organs. If you have not been personally touched by cancer then there’s a good chance someone you know has been. There are many different treatments for cancer that have varying degrees of success and are destructive to the body. 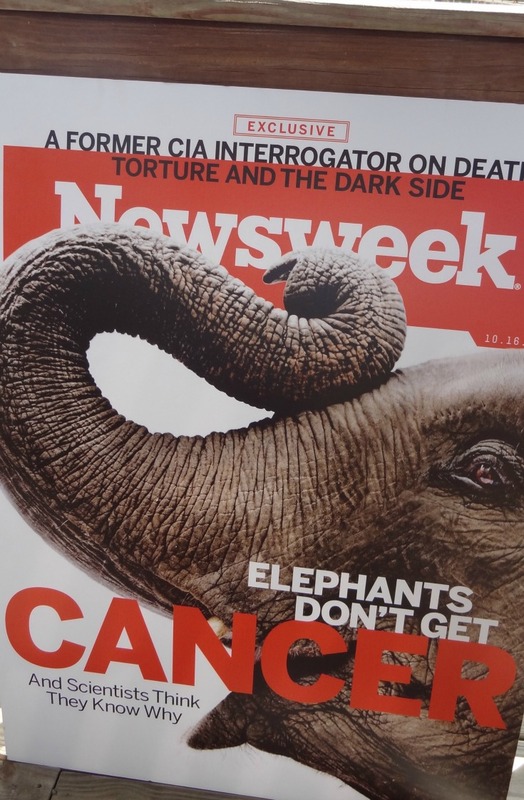 Elephants rarely if ever develop cancer in their lifetime. 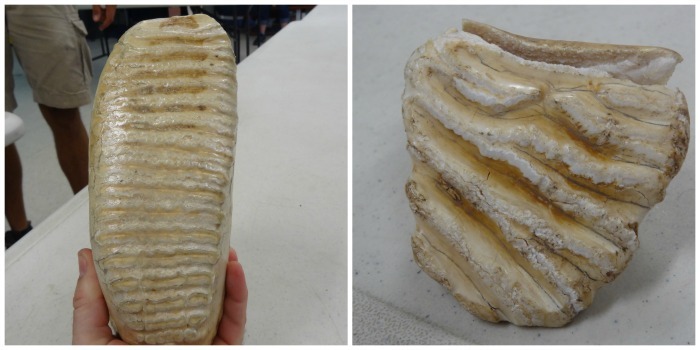 Researchers at the Ringling Center for Elephant Conservation are working hard to find out why. Looking to open doors into new cancer research that can help high risk children live cancer free lives. These are just a few of the amazing discoveries they’ve made so far. The Numbers Don’t Lie: The Asian elephants that my family and I were recently granted the opportunity to visit with are said to have an average lifespan of 45 to 60 years. We had the fortune of meeting and giving a 70 year female Asian elephant named Mysore her daily scrub bath. All I can say is Awesome! Despite her amazing size and age she has never had any form of cancer. In contrast to humans who have a 25% mortality rate in relation to cancer, elephants are below 5%. Size Isn’t Relative: Ok it’s no secret that elephants are huge. Even the babies are the size of small compact cars. So since cancer attacks on a cellular level and elephants have an enormous amount of cellular tissue it would stand to reason that they would have a higher rate of cancer than us. That is where we would be wrong. When scientist exposed elephant blood to DNA damaging agents they discovered that an elephant cells achieve cellular death faster than a human. They believe this could one key to the elephants resistance to cancer. They have also identified a key genetic link that could offer new insight and direction as to why elephants so rarely develop cancer. P53 Bingo! : Bingo! Wait. Did he say P? That’s right, P53. The P53 gene is your bodies equivalent of cellular family doctor. It’s this gene’s job to make sure none of the cells develop cancer. A tall order for only 2 copies of this gene to accomplish. There is this amazing gene that attacks and destroys cancerous cells and healthy humans only get 2 copies. When scientist at the Ringling Center for Elephant Conservation checked elephant DNA they discovered that they 40 copies. Knowing what this gene does they’re certain that it’s instrumental in their defense against cancer. Now they are focusing on the link between the extra P53 genes that elephants have to fight cancer and how they can help high risk children. The Ringling Center for Elephant Conservation was established in 1995 by the Feld family who own Feld Entertainment, the parent company of the Ringling Brothers & Barnum & Bailey Circus. 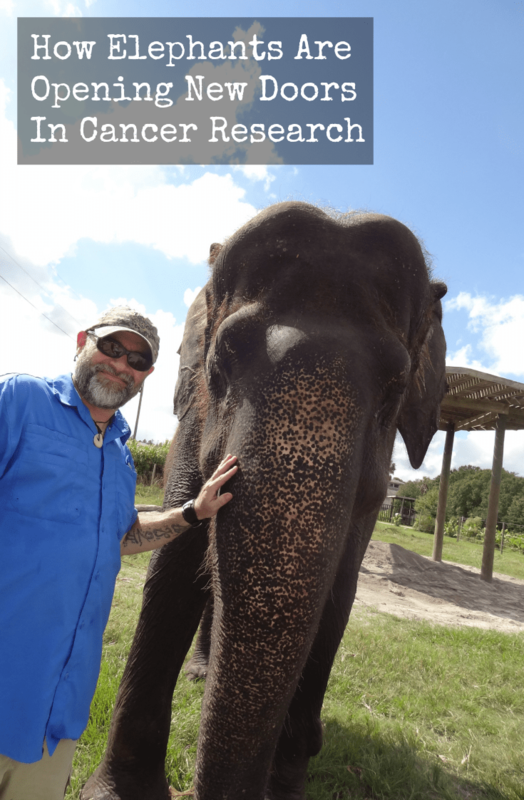 This working elephant farm is located on a beautiful 200 acre plot in sunny central Florida and is dedicated to the conservation, breeding and understanding of these beautiful animals. Having the largest herd of Asian elephants in the western hemisphere allows them to provide scientist who study elephants from all over the world with opportunities that they could not have had otherwise. Elephants in the wild are very dangerous and must be studied from afar. 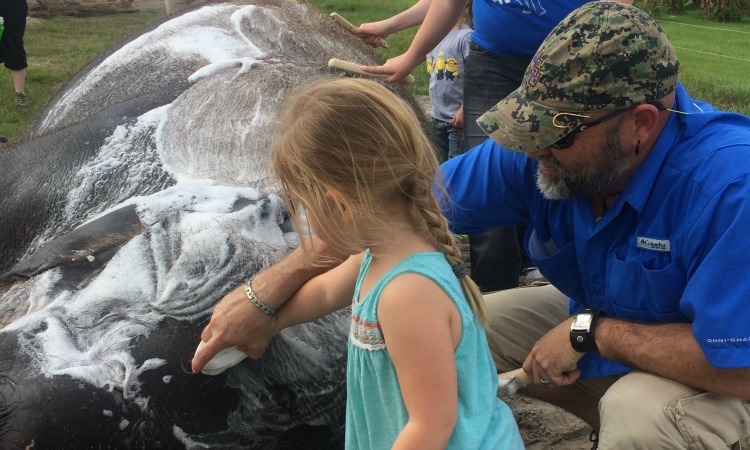 The elephants at the CEC interact with people everyday and allow for scientist to get an up close hands on experience with the animals they have dedicated their lives to. A large population of elephants is essential genetic diversity necessary to conduct this kind of research which make the CEC the ideal partner in this studies. As they do regular health check ups on their herd they are able to provide a great number of sample for these studies. Their commitment is so strong that they set aside space on their farm for resident conservation and research scientist Dr. Wendy Kiso who is helping us understand more everyday about these magnificent animals. The elephants at the CEC are living large I can assure you of that. They get fed, bathed and loved everyday. 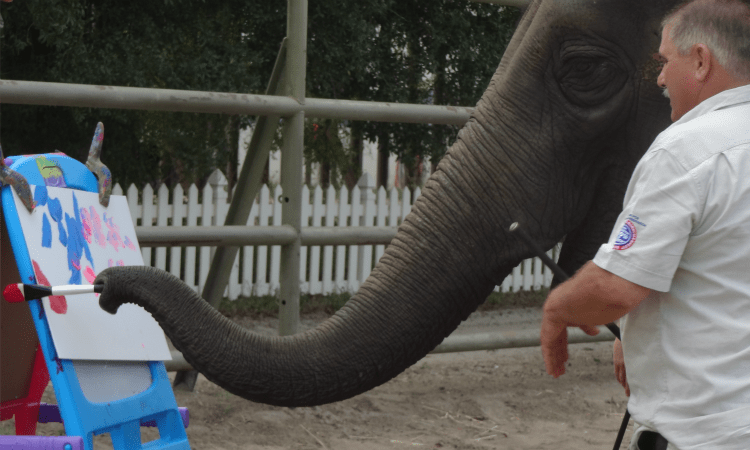 The handlers, trainers and scientist have a very special relationship with the elephants. The kind you would have with your children. Children that weigh up to 14,000lbs. But by building their relationship on mutual trust and respect it’s easy to see the elephants care about their humans too and are very happy. The CEC’s Director of Animal Stewardship, Janice Aria put it best. ” If you start treating a 7 ton animal with disrespect and cruelty you are not going to have any kind of trust based relationship with them and they won’t respond to you in a way that you are going to like.” They have large fields of elephant grass that they grow to supplement the elephants diet of only the highest quality fruits, vegetables and hay. Heck they even get some homemade popsicles that looked pretty good. Of course they were 1 gallon popsicles though. With giant playgrounds that would get an X-Games athlete excited, more meaningful pastimes like painting and the love and dedication of their caretakers these magnificent animals are all set to live their lives comfortably and ready to help us in our battle to put an end to cancer forever. How has cancer affected the you or the ones you love?